I love Halloween comics. Not enough publishers/creators do them these days for whatever reason. Here are just a few of my favorites from years past. Blue Monday- Dead Man’s Party. 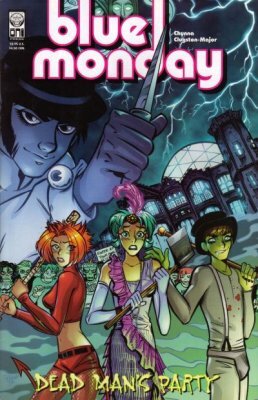 If you never read Blue Monday, you should look into it. It’s a fun 80s-set group of minis and one-shots by Chynna Clugston. DMP is the Halloween-themed issue. 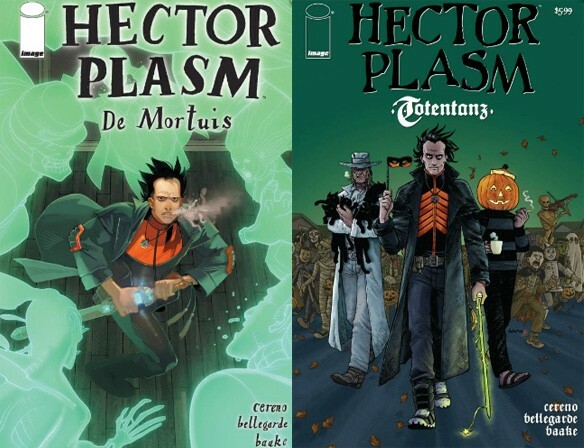 There are two Hector Plasm one-shots. They’re a little thicker than your average comic and contain multiple short stories and frightful features. 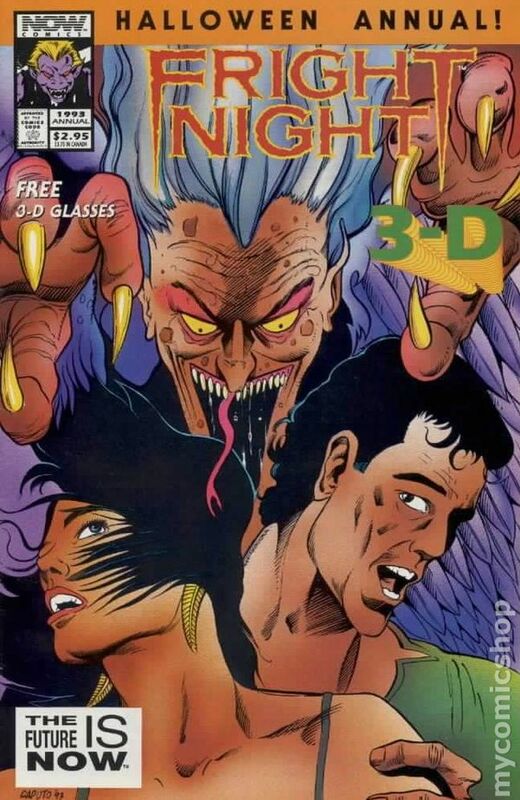 Fright Night: Halloween Annual 3D. The story didn’t end with Fright Night and Fright Night 2. There was a NOW comic series for a while. Fun stuff, to be sure. Jill Thompson’s SG is the spirit of Halloween printed on paper. Sirius put out a series of minis and one-shots, and now Dark Horse recently collected a few of them into this volume. The Tick Big Halloween Special. 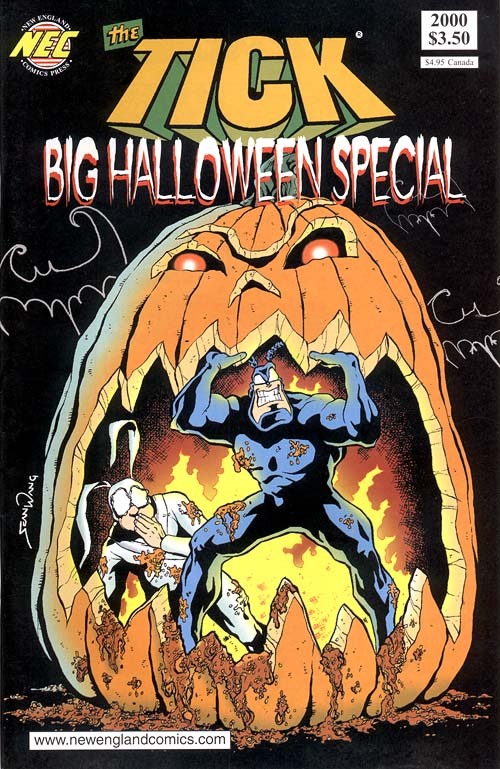 I believe there were a couple ‘Ween issues of The Tick, but this is the one I most remember. The Tick is always a treat, whether it’s Halloween or not. 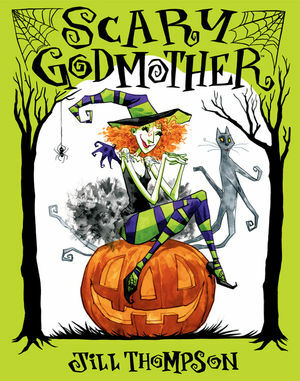 If you’ve got a line on any good Hallow’s Eve-themed comics, drop me a line and let me know!